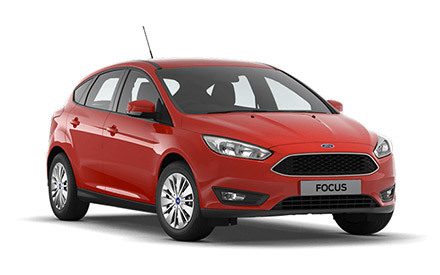 "Neil Lake was very helpful"
Read our customers' honest and impartial Ford Focus car reviews and ratings to easily find your next car at Motorparks. Had the Ford Focus auto estate for about 7 weeks and am enjoying it - we find it is very comfortable, the screen is a nice size and having it split in 4 is nice compared to other makes. I love my Ford Focus - it is by far the best car I have ever owned. Superb Focus ST-3, everything you want from a fast Ford and practical. Totally in love with this car. I previously owned a Focus Zetec 1.6 petrol car for 2.5 years from new. I was more than happy with the look and performance of this car. I fancied a change of colour in another new car and decided to try the Zetec 1.0 125ps model in White. I could not believe how much Ford have improved this model over my original Zetec. The drive is smoother, zippier, quieter in fact superior in every way. I chose the model with extras such as sat/nav,reversing sensors and appearance pack 1: tinted glass,larger wheels and day running lights. This has just about all the extras that I need. The service has been superb from Dees which is why I returned to buy this car. The only blip was that the day after I collected my new car I noticed some small dents in the rear passenger door. I can understand how it was missed on inspection by myself and the sales person Germel. I have to say that they have been removed to my satisfaction so whilst I was disappointed to have a new car with dents it now is as a new car should be. Very pleased with the service provided and the car is very pleasing to drive during the daylight hours, however, I would like brighter headlights/dipped headlights for night driving. Very happy with my car in general. Only disappointment to date is the sat navigation. I changed my old Focus for a newer version, I was initially dubious about the 1.125 Ecoboost engine. It was a good choice as the car is more economical to run and there is no loss of power. My main criteria when searching for a new car was support for my lower back in both the driver and passenger seat - the Ford Focus Titanium X was only 1 of 2 models which catered for this. However, absolutely everything else about this car has surpassed our expectations - it looks gorgeous, is wonderful to drive, amazing power with the ecoboost system and the added extras have clearly been well thought out by the designers. The rep called Tai from Ford Ashford was fantastic - polite, helpful, very patient when showing me all of the amazing gadgets this car has!and is very hard-working - his customer service skills are second to none and Ford Ashford are lucky to have him - he is dedicated way beyond normal expectations. Couldn't be more happy, no problems, a pleasure to drive and a seamless process from ordering to receiving. Very pleased with the car still experimenting with all the many features. Excellent Sat-Nav Reverse camera very useful.Love the Deep Impact Blue colour too. Jan Warren. Love our new car! Wanted a new car for ages and fell in love with this one straight away. I can't believe they can get this power out of a 1 litre engine. Very pleased. Really nice car to drive, good responsive 1.5 litre diesel engine. Reasonable trim level on Focus edition. Would have thought all round electric windows would have been included. Very pleased. Comfortable, smooth drive. Everything I need and wanted. I am extremely happy with the car. Its 1 litre turbo engine is as good as my previous 1.6 litre for power and response. The frugality of its fuel consumption is impressive and on the two extended runs that I have done the car has really impressed. The level of equipment is very good and the finish is as good as I could wish for the price. I just love my new Focus EcoBoost. It has many more accessories than my last one, which is great. It's a pleasure to drive and I just want to keep driving. I love the colour style and performance. I just love my car! I am delighted with the new car. It is a Motability car for my son. He really enjoys travelling in it. Very lovely car to drive, beautiful. I 'down sized' from my previous car but have been very pleasantly surprised with my new car. It has lots of 'toys' and is a much better spec than my previous car. Glad I bought it. I love my new Ford Focus - very economical, comfortable and quick on the acceleration. It's everything we expected it to be.